After spending more than a month on the dark side of Ceres, NASA’s Dawn spacecraft has captured new images of two bright spots on the surface of the dwarf planet. The images were taken by Dawn on April 14 and 15 from a distance of 14,000 miles (22,531 km) above Ceres. The two mysterious bright spots, which have fascinated scientists for months, were not visible in images of Ceres’ north pole that Dawn took on April 10 from a distance of 21,000 miles (33,796 km). The most recent images show the brightest spot and its nearby companion clearly standing out from the darker surface features that surround them. The source and composition of the highly reflective spots is still unknown. The images also revealed heavy cratering and other surface features of interest to scientists. Surface features will continue to emerge at increasingly better resolution as Dawn gets closer to Ceres. The images have helped Dawn mission planners to maneuver the spacecraft into its first science orbit. Beginning on April 23, Dawn will spend approximately three weeks in a nearly circular orbit, observing Ceres from an altitude of 8,400 miles (13,500 km) above the surface. During its first science orbit, Dawn is expected to acquire more than 2,500 images of Ceres. The spacecraft will begin to move to lower orbits on May 9 to improve its view and make higher-resolution observations. 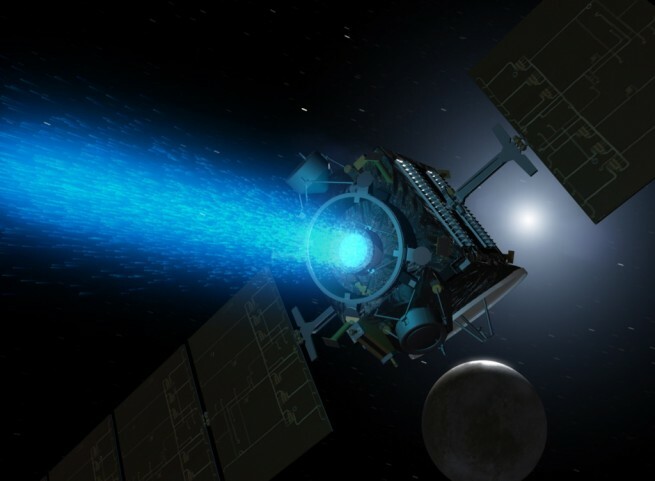 Dawn will use its ion propulsion system to spiral down to orbits of 2,700 miles (4,350 km), 900 miles (1,450 km), and a low altitude mapping orbit of 230 miles (370 km). “The approach imaging campaign has completed successfully by giving us a preliminary, tantalizing view of the world Dawn is about to start exploring in detail. It has allowed us to start asking some new and intriguing questions,” said Marc Rayman, Dawn’s mission director and chief engineer, based at NASA’s Jet Propulsion Laboratory, Pasadena, California. The Dawn spacecraft was launched on Sept. 27, 2007, from Cape Canaveral Air Station’s Space Launch Complex 17-B atop a United Launch Alliance Delta II-Heavy rocket. The ion-engine propelled spacecraft arrived at the asteroid Vesta on July 16, 2011. Dawn spent 14 months exploring Vesta, capturing detailed images and data about the asteroid before departing for Ceres, its second target, on September 5, 2012. 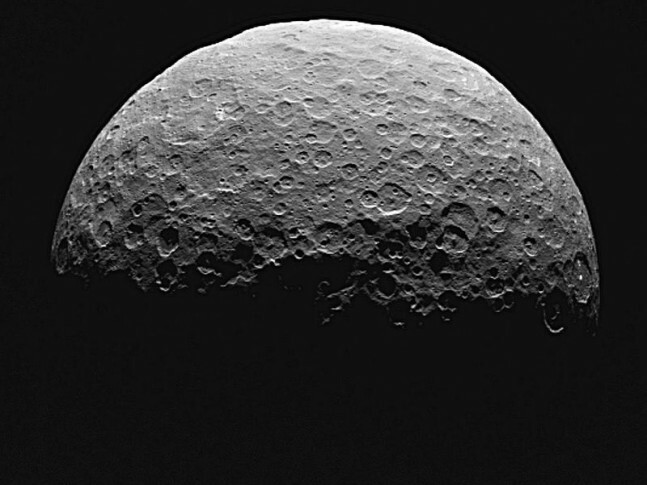 Dawn was captured by Ceres’ gravity on March 6, 2015, making it the first spacecraft to orbit a dwarf planet and the first spacecraft to orbit two targets. Is the apparent circularity of the spots on Ceres a camera artifact, a result of the current lack of capability at Dawns current distance from the planet to resolve the circularity into something more realistically shaped, or does the circularity represent the true shape of some geological feature?